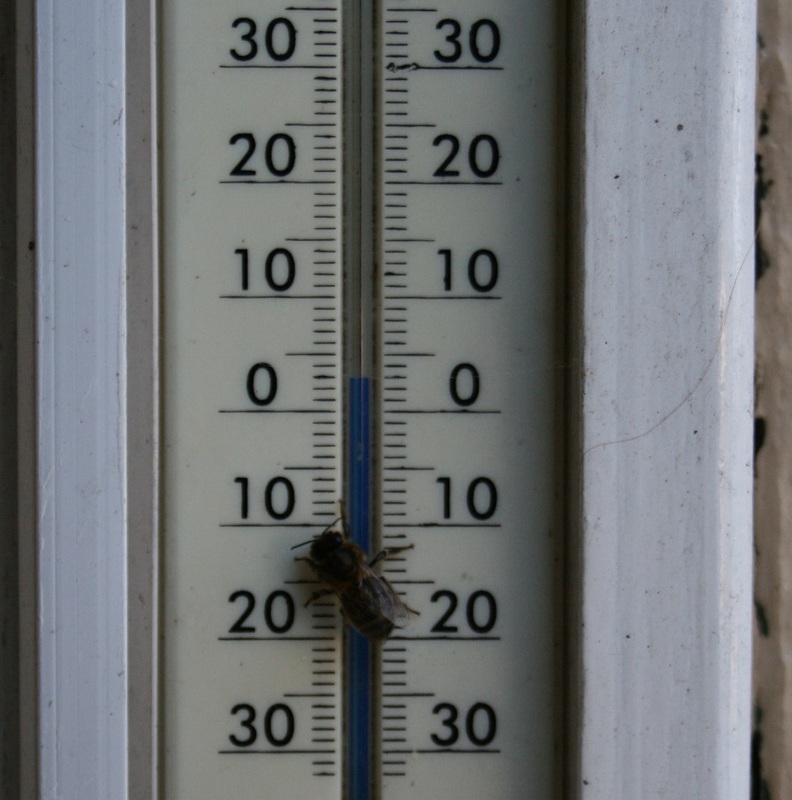 The deep midwinter is a good time to visit your bees and Christmas day is ideal in many ways! Bees can be active at quite low temperatures so if you’re a bit on the timid side and your bees are on the feisty side – avail of a veil. But go easy on the smoke. 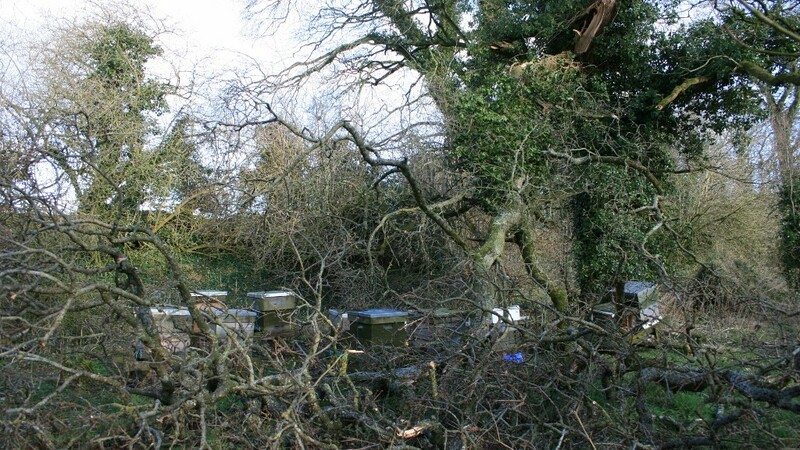 You just need to check that the hives have not been demolished by falling trees, that the roofs are still in place and that the bees still have enough stores. Disturb them as little as possible. If you haven’t already done so – rope the hives. This will keep the roofs on and if the hives get toppled by storms or livestock it will help hold them together and give the bees a chance of surviving till your next visit. To test they have enough stores quietly take off the roof then put a hand under the floor and gently lift or ‘heft’ from the back just enough to test the weight. If you think they feel light, carefully take a look under whatever you have covered the feed hole with and if the bees are visible place a cake of fondant over the hole – press it through a bit if you can. If you have Ambrosia or other brand of bee-feed, cut a window in the package and slap it on. If you are using baker’s or homemade fondant, first be sure it only contains sugar and/or honey because sometimes there are additives then cover it with something like an upturned plastic tub or a sheet of polythene/clingfilm or it will dry out. Or place a lump of fondant over the feed-hole but flatten another piece so it will sit directly on the top bars touching the bees and bridging the beespace under the crownboard to draw them up. You’d be amazed how quickly bees recover with a bit of feeding. Don’t give pollen substitute yet – wait till February. Don’t, whatever you do, feed syrup during the winter months. The other things you should check is that the entrance is still clear and has not been blocked with dead bees. Also check for signs of invasion by animals such as rats, or woodpeckers if you are in England – this will be obvious from the outside – there will be a bloody great hole. This is particularly possible with poly hives or wooden hives in a state of advancing decrepitude. Mouse invasion is less obvious but should not happen so long as your entrances are no taller than the average biro. If they are you should have them covered with mouseguards. A mouseguard is a sheet of galvanised with holes punched into it which mice can’t squeeze through. Mice, by the way can uncouple the bones in their skullls and flatten their heads!